As much as it pains me to admit it, I don’t have fabulous hair. I know what fabulous hair looks like – thanks to my sister and one of my closest friends – but unfortunately, while I was blessed with many other excellent attributes, I missed out in the hair department. My hair is super fine, confusingly curly and mousy brown. My natural colour is so mousy that it, when teamed with my brown eyes and relatively quiet demeanour, earned me the childhood nickname of ‘Brown Mouse’ (or ‘Mouse’ for short). I think I’ve shared enough to convince you that my hair needs a whole lot of help. And help it I do. Well, at least I try to. 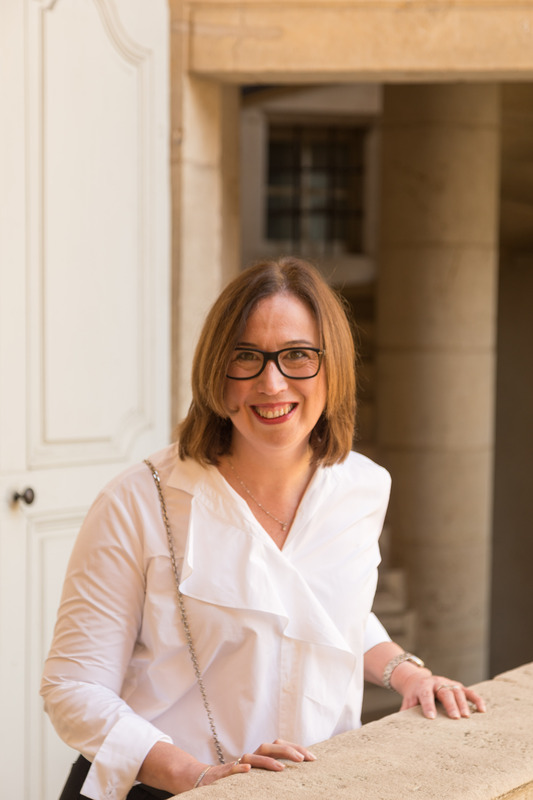 I’ve invested some of the best styling tools money can buy and I’ve tracked down a hair cutter who specialises in curly hair. And my colourist works hard to enhance my mousy shade (and, more recently, to cover the newly introduced silver highlights). But despite their best efforts to tame my locks, my hair still has a mind of its own. And it’s a determined mind at that. As a result, I am forever trying new products, endlessly searching for the Holy Grail brand that will convert my hair from ‘difficult at best’ to ‘great’. (You’ll note that I’ve given up on the goal of fabulous. If I can manage great, I’ll be one happy woman). I came across David Mallett’s hair care and styling range a little while back, attracted as I am to any Australian/French connections. David is the stylist responsible for some of Paris’ most well known hair. Clients of this Australian born hair superstar include names like Charlotte Gainsbourg, Clémence Poésy and Marion Cotillard. While it is unlikely that I would ever have the opportunity to have David actually style my hair, I was intrigued enough to invest in his products, which have a strong reputation. And after having used his Le Volume range every day for a couple of months, I am quite pleased I did. Range: No. 2 Le Volume, for fine hair. The fact that the products worked. I’ve seen fullness that I didn’t think possible, regardless of whether I was wearing my hair curly or straight. I also think it has been easier to style. The Volume Spray. I’ve been a traditional shampoo and conditioner girl for a long time and I was a bit sceptical about forgoing conditioner. But my hair has felt great – and its condition has been excellent. The fragrance. I wasn’t sure what I’d make of a green tea scented shampoo but it is both subtle and pleasant. The Volume Powder. I’ve used volume powders before and found them sticky, temperamental and difficult to apply. Mallett’s version has a pump pack that makes application easy. And the powder definitely adds volume. It also helped me to manage my curl, which is an added bonus. The packaging. Sleek, understated and black. Worthy of its place in any stylish bathroom. The price. There is no easy way to put it. This range is comparatively expensive for the size of the products. Regardless of whether you are using high end salon hair care or you are a fan of supermarket ranges, you will definitely notice a pricing difference. While my hair is very happy, my wallet was somewhat less so. For now, I’ve decided to continue investing in the products because as someone close to me (lovingly) commented ‘A fix for your hair was probably never going to be cheap’. I’m telling myself that I’m now using less product than I used to (no conditioner, only two styling products) which must be offsetting the cost somehow! 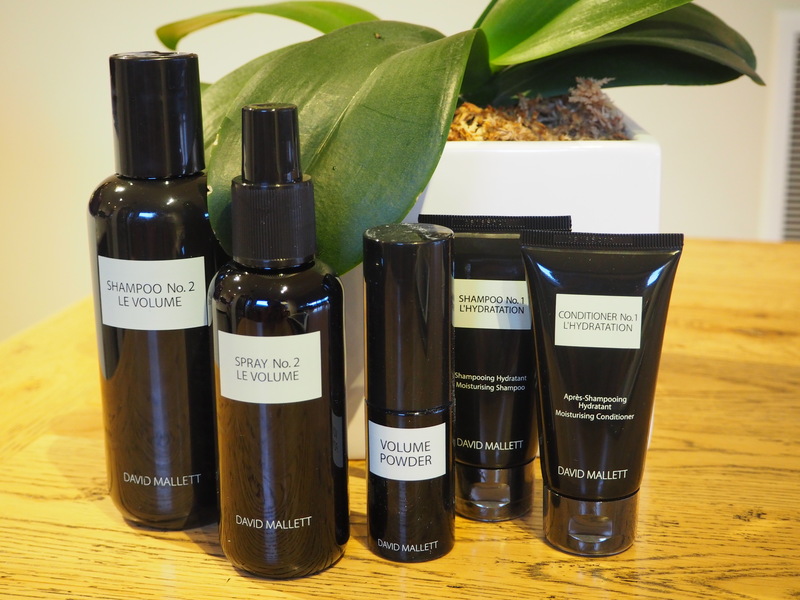 Have you tried any of David Mallett’s hair care products? What did you think of it? I’d love for you to share your thoughts in the comments below. Please note: This is an unsolicited post and no compensation of any kind has been received from David Mallett or any associated parties. I loved the honesty of this post, Janelle; not only honesty about your own hair situation, but also the honesty about the pricing. So often bloggers tout a product, but without the cost-benefit analysis that you provided. I will be sure to share this post with a friend who faces exactly the hair issues you expressed! Thanks for that Alisa. The price thing definitely gets me thinking. I know people with great hair who can use any old product once a week and still look fabulous. I have to wash mine every day just so I don’t look like a clown. But I guess that’s one of the great things about life. We all get to do it differently! And I’m sure that stuff that comes more easily to me doesn’t do the same for many others. I’m convinced this stuff all works out in the end. Sending my very best wishes to your friend with the non-compliant hair. I hope she finds success.